Ultra-Band is a BBA HAPAS approved filling, sealing and over-banding material for cracks and joints. 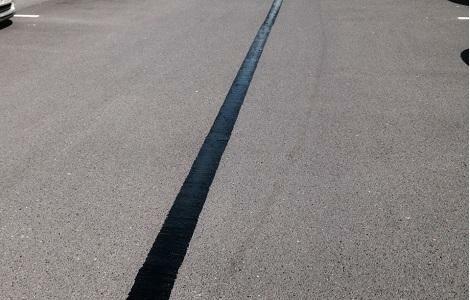 It provides a flexible, impermeable and extremely durable repair that will prolong the service life of non-porous bituminous and concrete surfaces. Cracks and joints are treated up to a width of 40mm and the over-band seal can be applied up to a width of 200mm. Ultra-Band is a unique, single component, hot-applied, polymer modified, resin-based compound incorporating a mixture of fillers and aggregates. It has superior crack filling and sealing properties along with very effective adhesion. Formulated to have excellent load bearing and anti-oxidation properties, in its molten state the material flows and penetrates deep into cracks and joints setting to a resilient finish. A curing time of less than 30 minutes means minimal disruption to traffic. 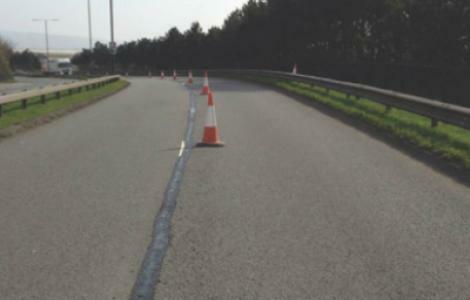 Installation shall only be carried out at a road surface temperature >5°C. The crack or joint and surrounding road surface must be dry or thoroughly dried using hot compressed air before and during the installation of the material. A crack/joint router with a 20mm wide cutting disc may also be used to remove defective material from the crack/joint prior to drying the crack joint. The crack is cut or routed to form a reservoir that is filled with Ultra-band. The Ultra-band may be left flush or slightly below the surface of the reservoir. The depth and width of the reservoir varies according to job requirements. Typical reservoir width is 20 mm. Reservoir depths range from 20 to 40 mm. 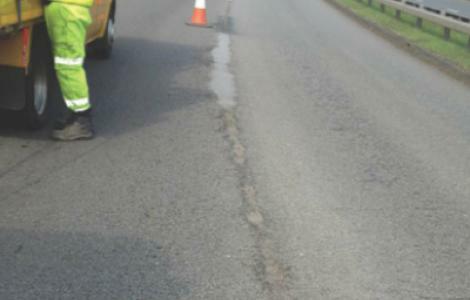 Reservoir use is appropriate for pavements in good condition, where defective joints are present. The material is applied in two stages. Bags of Ultra-Band are melted down in agitated, dedicated mixers to an application temperature of 190°C±10°C and maintained at this temperature for 20 minutes before using. Ultra-band is then poured into the prepared recess by bucket and suitable screed box, to finish flush with the adjacent surface and allowed to set. The second application of Ultra-band can be carried out at any time after the first application temperature of 190°C±10°C. It is applied evenly over the previous application by screed box between 100-200mm wide as required. The over-band should be 50mm wider than the prepared crack/joint. Once cured, approximately 15-30 minutes dependent on ambient temperature, the area can be opened to traffic.